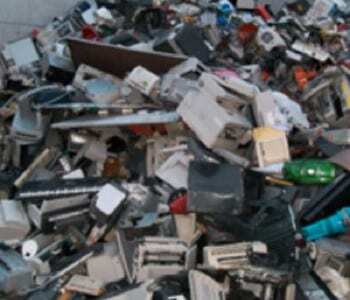 All scrap electrical and electronic devices potentially contain contaminants. If you produce or need to dispose of electrical equipment, you are required by law to join the Waste Electricals and Electronic Equipment compliance scheme (WEEE), which is a European Directive in force since 2003 designed to result in the recycling of at least 85% of electrical and electronic waste by 2016. We can offer a fully-compliant service for the collection and management of redundant electrical and electronic devices across the full range of WEEE-relevant equipment and appliances.